If you are thinking to yourself you have seen a card similar to this one recently, well you are not crazy, you have! I had so much fun making the last one, that I had to do it again! I saw this awesome sketch over at My Favorite Things and I knew it would work perfectly! 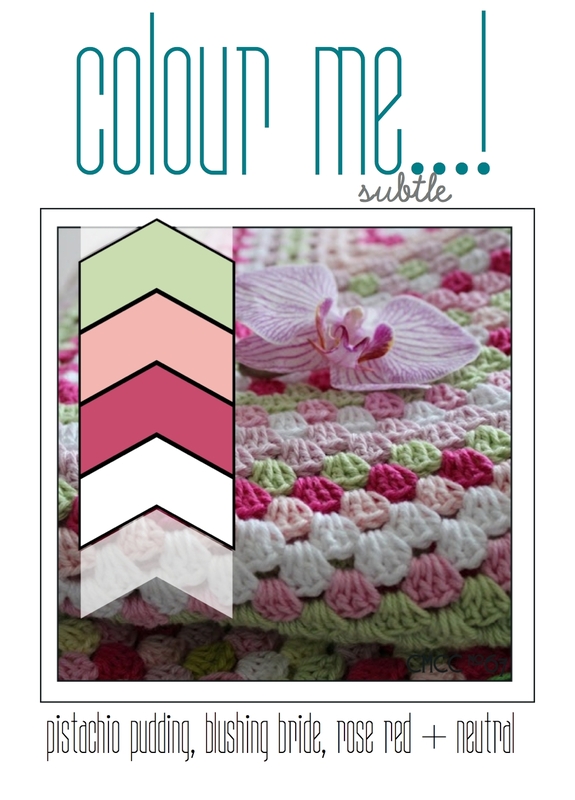 Then, I have been eyeing the color challenge over at Colour Me and was thrilled that I hadn’t missed the deadline yet….so I paired them together and there you have it! In case you missed my last card here is a pic of it again. 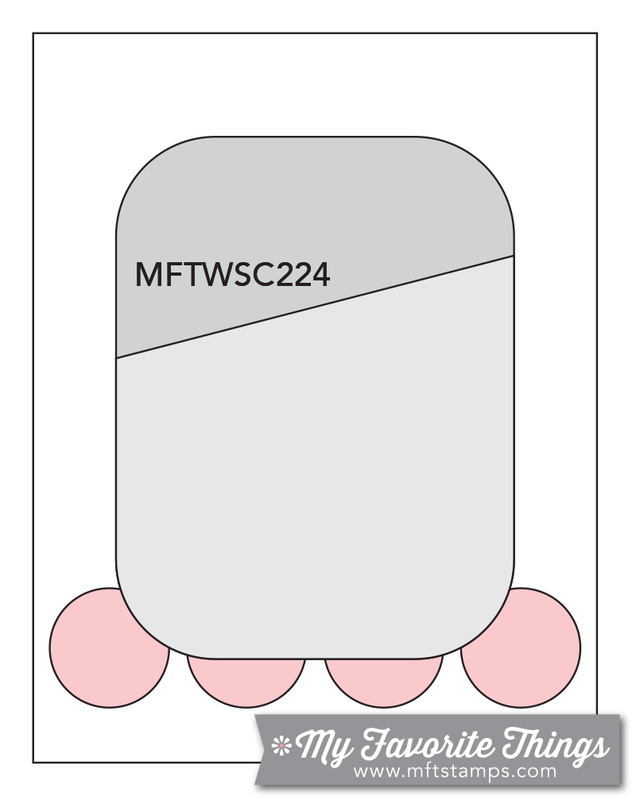 Here are a few details on the first card: Scalloped borders are MFT. 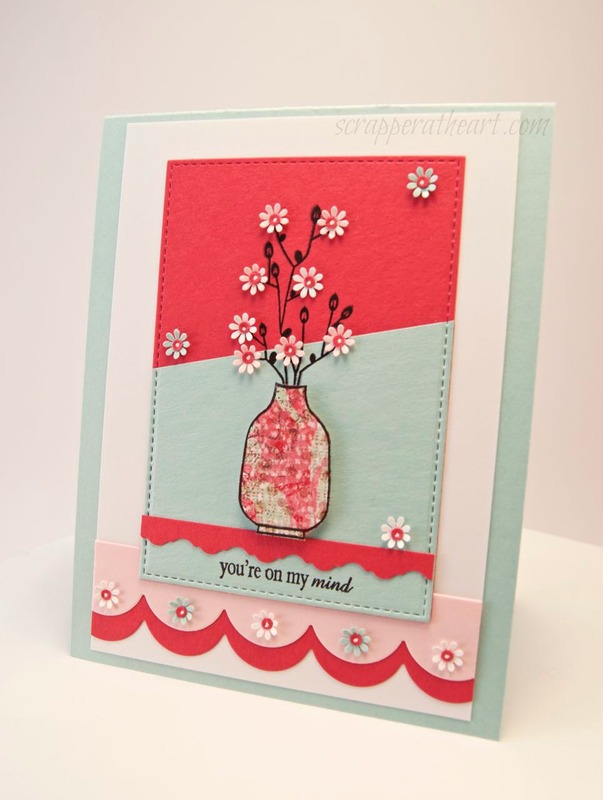 The sentiment is from Verve, and the Vase and stems are from Gina K. Designs. Love the two colored tilted panel with my MFT stitched rectangles. The flower punch is new to me and I just love it!! I made the victorian edge strip with my fiskars. I thought the vase needed to be grounded on this card. Categories: Cards | Tags: Card making, Cards, color challenge, Gina K designs, my favorite things, rubber stamps, sketch challenge, stamping, Verve Stamps | Permalink. Another gorgeous beauty! I love it as much as the first one you did. 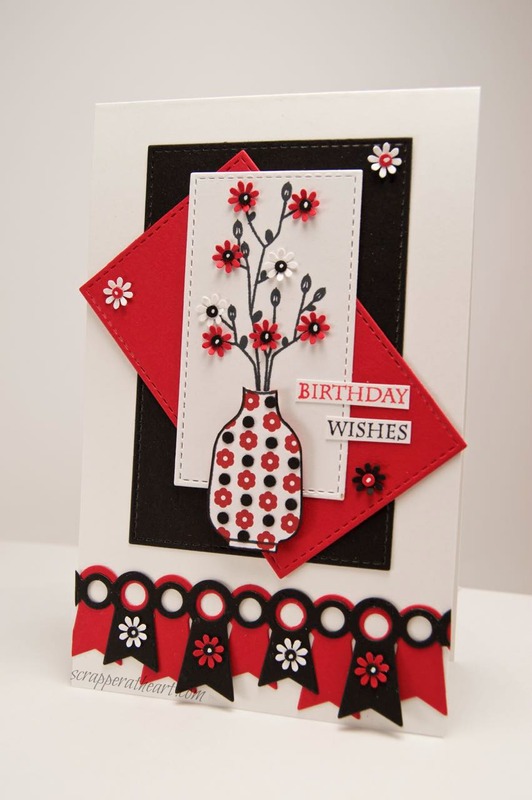 That is a great design and adore those little flowers all over the card. I can imagine that took time to put together too. But it was well worth it. I wanted to ask you who makes the flower punch or die? That is so cute and really looks awesome. LOVE that color combo! You did a wonderful job with that sketch! I also enjoyed that other card too, super pretty! Gorgeous card. Love the colors and of course the flower bouqet. Beautiful card! Caught my eye on the sketch challenge page. Beautiful card Nancy! I love when all the challenges match up with all the elements in our heads! !